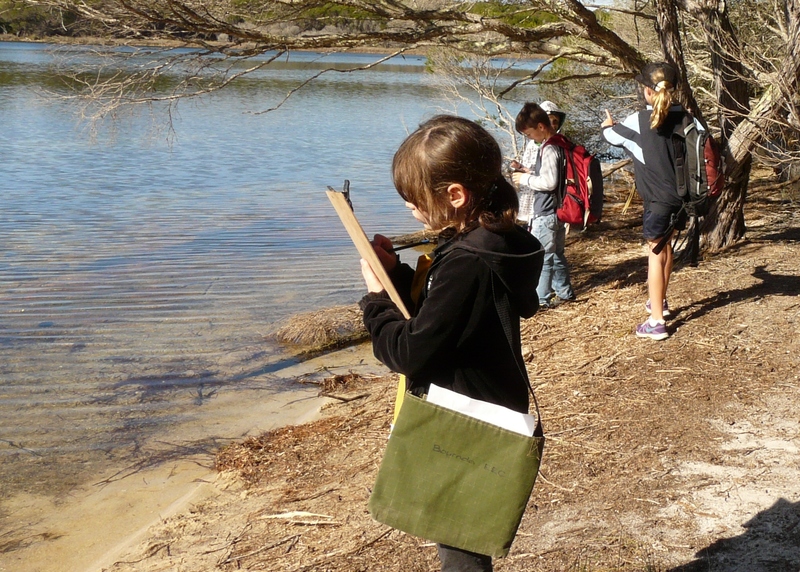 The students investigate the natural and human features of Bournda National Park. They learn about who uses the park and who takes care of the park. Taking on the role of one of the park users the students need to find and discuss some of the park features. The students then create a map using photographs of the places they have found. The students go on two explorations of the Park, allowing them to compare the built environment of the camping area with the less disturbed areas of the National Park. Students use a simple map to explore the camping area of the National Park from the Shelter Shed, through the day picnic area and to the edge of the Wallagoot Lake. During this walk students look at the facilities that have been provided and discuss how these facilities can help to care for the National Park. Students have photographs of the facilities to find and mark off on a check sheet. Students take on the role of different park users (fishers, birdwatchers, bushwalkers etc) for the walk and then observe and discuss what has been provided for each of the different users. Once the walk has been completed the students work together to create one large map of the area they have explored using photographs of the facilities and model plants and animals. 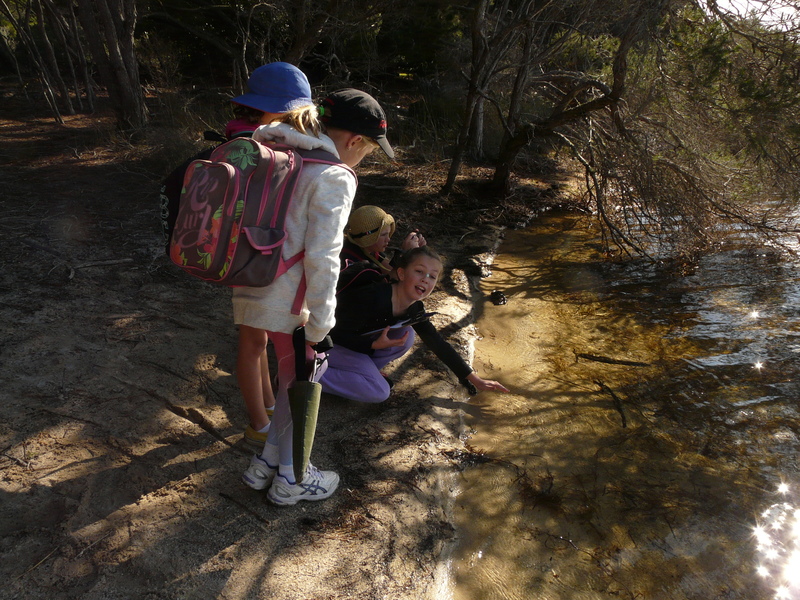 Students go on a bushwalk which focuses on the natural features of the park. On this walk students identify things that change; daily, monthly, and seasonally. Students make observations and discuss changes that occur at a number of sites. Weather data is collected, such as temperature and rainfall, and recorded. Students can make predictions about the temperature at night, or in other seasons of the year. A stick is placed in the ground at the start of the walk and students are asked to place a rock to predict where they think the shadow will be when they return.